Research is a blog owner’s best friend. It doesn’t matter if you’re experienced or just beginning; knowing where you stand in a field is incredibly important for developing a successful strategy, and therefore blog. Where does the research start? With traffic. One could argue (I just might!) that, if you’re really into the blog game to make money, you would actually start with traffic research before settling on a niche. You can become an internet expert at anything — but you can’t claw your way to the top of an oversaturated, highly competitive market. At least, it’s not very easy. If you already have your niche, or find you’re an expert at something and want to blog about it, that’s also perfectly fine. In both situations looking at traffic is a lot like cartography: you need to get a lay of land. Once you’ve done that you can make informed decisions about the post topics on your blog, the keywords you’re going to try to rank for, and what industry connections are critical for your success. 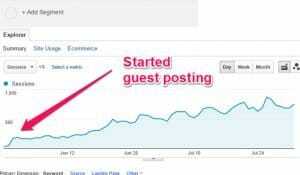 The question then becomes: how do I see other website’s traffic? The answer is spread out over a number of methods. Specifically, 20 methods, which I outline below. Find a couple that suit you best and use them regularly, then try to use a couple more sporadically to get different results. This is the information age, and information is all you need to formulate a rock-solid blog. I’m going to start this list with official websites and businesses dedicated to getting traffic, and then move into more general ways of determining traffic. Let’s get started. Alexa is the premier web analytics tool for websites. Traffic is just one of the metrics they offer, but it’s a pretty important one. There are two main ways to approach Alexa: a free toolbar, and a Premium membership. This is what’s most common and usable by everyone. Alexa gets site traffic data from all websites that have its global data panel installed, which is estimated to be about 1% of users on the internet. That’s not a very big percentage, but you’d be surprised at how that can be extrapolated to get realistic traffic results. You can install the toolbar as an extension in your browser — Chrome, Firefox, Internet Explorer, etc.— and you’ll find stats on any website you visit. Traffic will be the main one to look at. Remember these are ballpark figures, but they’ll help you gauge it quickly. If you decide to pay for the the service there are (obviously) many more metrics at your disposal. There are three tiers of pricing ($10, $50, or $150 per month), each of which provides pretty different features. 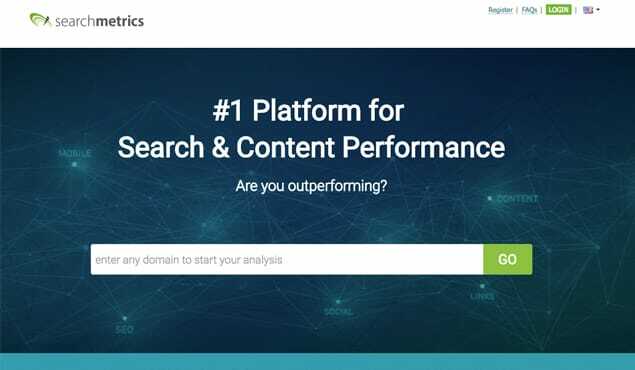 The basic gives your site an official Alexa rank and some helpful search features, but the real data crunching tools come with more money. Alexa is a great tool to have on hand, and if you’re serious about internet marketing and research, it’s worth throwing down some cash. If Alexa is the top site to visit for website traffic, SEMRush is a very close second. 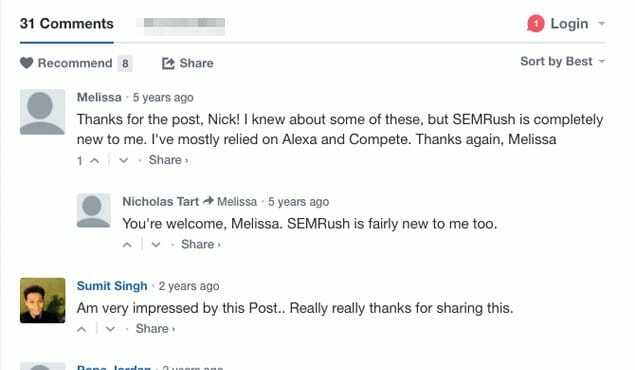 While it doesn’t have an official ranking system like Alexa, SEMRush’s tools (both free and premium) can tell you a ton about a website with a quick visit. Visit the site and, without paying a dime, type in a domain name or keyword and you’ll get immediate results. In this particular scenario you’ll want to type in the domain name of the site you’re trying to gauge. After doing that you’ll see a screen that tells you estimated traffic, estimated keyword ranking for individual keywords, how many backlinks a site has, and more. These aren’t the whole picture, and don’t have a clear number on visitors per month or year, but will give you a gauge on a website’s popularity. You can also select for different countries, which is a nice feature. Make sure to compare the site you’re looking at with others in a niche to get a good gauge. 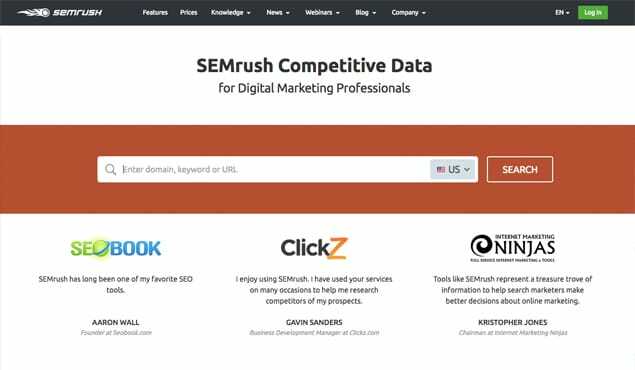 In the search engine optimization metrics world, Alexa, SEMRush, and Moz are the three top contenders that don’t have their own search engine. 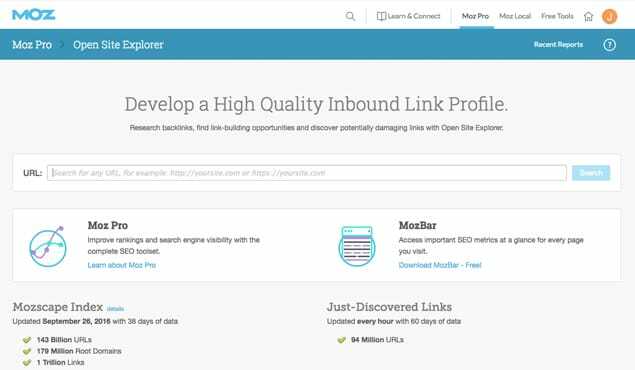 Open Site Explorer is one of Moz’s many free tools; it allows you to find plenty of traffic-based data on any website. By typing in a domain you can find Domain Authority (DA) and Page Authority (DA), two ranking factors developed and determined by Moz, which Google takes very seriously. You can also see inbound links to the website or specific pages on the website. Any DA over 50 is something to reckon with, anything over 70 is a huge institution, and anything nearing 100 is massive (like BBC). These metrics are great for capturing a site’s general position quickly. You can find the above information on Moz’s site, or you can install it as an extension to your toolbar. The MozBar basically provides the same information for any website you’re browsing in a quick, easy to view platform. 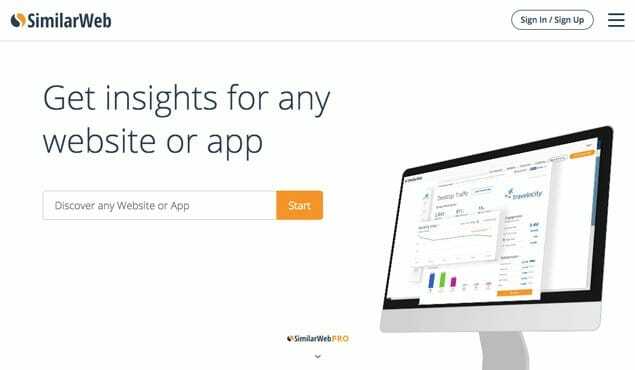 SimilarWeb is another entity founded on giving you excellent metrics to grow your business. 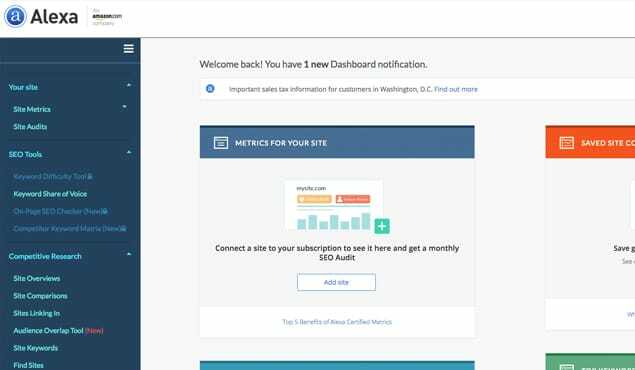 Most of those tools are built into its paid subscriptions, but that isn’t likely an option for most of you. SimilarWeb four three things extremely well, all of which are accessible by heading to the website and typing in a specific domain name. You’ll see total visits to a domain, average visitor duration, how many pages people hit per visit, and what the bounce rate is. These are a great estimate of overall traffic and how engaged people are with the website. You can also install the SimilarWeb browser extension to get this information on any web page with a simple click. Search Metrics (as you’ll begin to see with a lot of these) is primarily a paid platform. If you do want to pay it offers an incredible array of SEO-based tools that will help to drive traffic to your site. The free tools section of the site allows you to enter a domain name and get “SEO Visibility” markers. This isn’t specific traffic the site is getting, but rather how visible it is in search. You can’t equate these two things 100%, but the theory goes that the higher ranked you are in search, the more often your site will be visited. You can tell from a single search that Search Metrics wants you to upgrade, which is a little annoying. If you do register of free with them you’ll get more “historical” SEO data, which is sort of helpful, but will allow you to study trends rather than make immediately informed decisions. Traffic Estimate is a site that’s hitting a target keyword right in the domain name. It does its job, but not much else. You’ll have to watch out for all the randomly placed affiliate links, but right on the home page is a search bar that you can type a domain name into. You’ll get a basic, one-year graph that shows the rise and fall of a site’s traffic, with numbers for each month. If you scroll down you’ll also see top ranking keywords for a site, along with Alexa rank, PageRank, and competing websites. 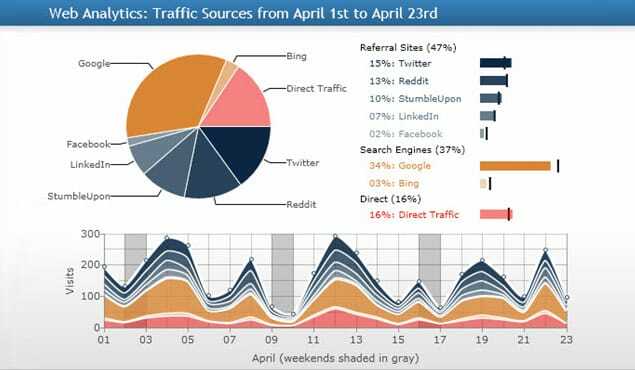 It all paints a decent picture of the estimated traffic for a website — and it’s free. 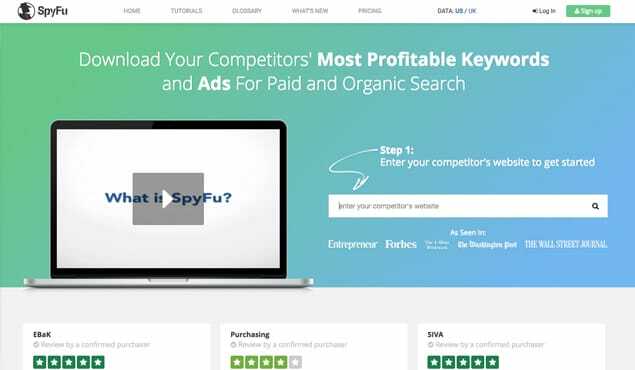 SpyFu has a great name, and a user friendly approach. Yes, it’s a paid service with a robust host of tools, but it also has an easy to use free search bar that gives you the low down on keyword ranking. Keywords are key to traffic because sites that rank high in certain keywords will appear first in search engine results. It shows you exactly what people are searching for, and then clicking on, therefore giving you actionable data for your next blog posts. SpyFu also provides a graph for ranking history and lets you know if a website has paid keyword ads in place, or if they are doing it all organically. You can use this to build an understanding of keywords in your niche. Quantcast Analytics provides very in-depth user reports for large websites. It’s a bit hit and miss when you search for websites, but once you find one in their network the amount of information available for free is pretty astounding. Type in the domain name and you’ll be taken to a custom page where you can select a website it thinks you’re trying to search for. Massive websites (like People or BuzzFeed) are available — you’ll see web traffic over time, demographics, cross platform analytics, and anything the site itself as shared. If a site has shared nothing, you’re out of luck. This one is a bit bottlenecked compared to the rest, but it’s helpful if you’re trying to understand just how many visitors (i.e., traffic) the top sites in the U.S. get in a month. 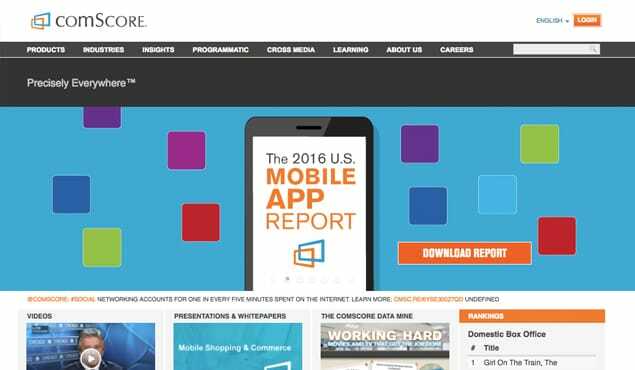 comScore produces an immense amount of reports, white papers, and hard facts about all kinds of industries, and websites is one of the main ones. However, you won’t be able to find stats on any old site — just the big ones. Each month they publish “Rankings” of the top 50 (or 5 or 10) websites or entities in a given field. Use this to figure out how many hits the big dogs are getting. Or, if you’re rolling in money, get in touch with them to provide stats on your niche. Moving into the areas of research that aren’t specific tools developed by other people, YouTube views are an excellent way to gauge traffic and engagement for a brand. This only works if that brand is actively using YouTube, but if they are it gives a great sense of how popular they are. If it’s a blog in a niche topic that has over 100,000 views on a number of videos, you can bet the blog itself gets a lot of traffic and has a dedicated following. Be wary if there are no comments on the video, or if you check the site (with the other tools) and it doesn’t quite add up — it’s possible (but complicated) to fake YouTube views, which some internet marketers will do when trying to grow a website. Continuing your own deductive research, check out the blog’s comments. Do they have a lot? How engaged are users, how frequent are repeat commenters, and how often does the blog owner (or writers) comment back to its readers? Dialogue is important, as it shows a dedication to the blog owner that you should emulate. If there are a ton of comments it’s clear the website gets good traffic. Sometimes a niche website won’t have huge numbers, but it will have a dedicated following, which can be better in a lot of cases. 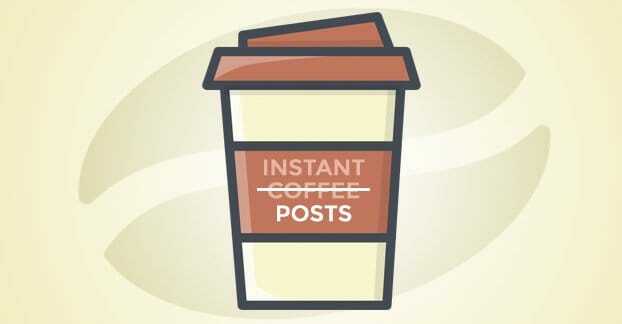 Continuing off the last step is a little trick for doing a quick tally of WordPress comments. To get the total comments on a blog, write your own comment, then see what the number is at the end of the URL after you’ve submitted your comment. This number is the total number of comments on that blog over the existence of the site. This can give you a good gauge, but keep in mind that roughly 75% of those comments will be spam that are never actually seen on the site. So do the math. Many up-and-coming blogs like to mark their success with an actual blog post that lists statistics or an increase in traffic. If you want to find a particular blog’s traffic, search their site for past posts like this. After a certain level of success the blogs will stop posting about their stats because it’s deemed a “secret”, but you can gauge how far along they were in the process when they did post those articles. 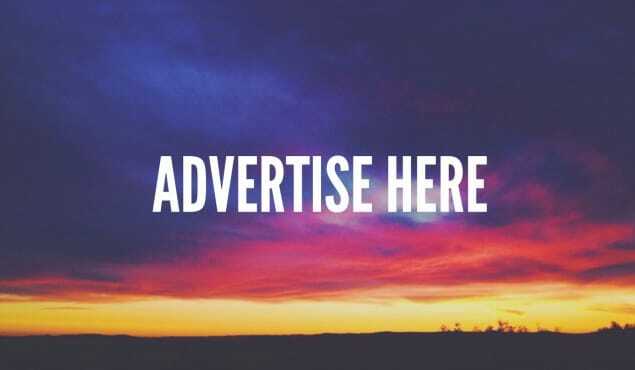 Like the above technique, check to see if a given blog or site has a specific “advertise here” area on the website. Typically, if they do, they’ll provide a very quick graphic summary of their traffic, including daily unique visitors, bounce rate, etc. If the site as a PMK it might be available as a PDF download to anyone who’s interested — in that case, just download it. Data from the source will be more accurate than any of these estimates for straight traffic. 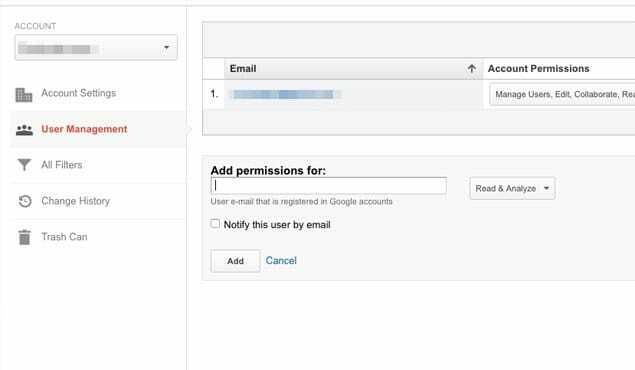 You can always send an email asking for traffic data. Depending on the size of the site, how much competition you pose, and what your message says you’ll get varying responses, but it never hurts to ask. If you don’t mind being dishonest you can always approach the situation as an advertiser or researcher and ask for stats. Keep in mind a “researcher” is much more accurate — you are actually researching traffic data in their field — whereas an “advertiser” is likely an outright lie. This one is a bit controversial as nobody has quite figured out the hard relationship between website traffic and social media figures. Someone can have a ton of hits to their website with little social media presence, and someone can have a massive social media following and very few actual website visitors. It all depends, but know that social media followers are easier to fake or gain quickly than website visitors. All of that said, it’s still a valid metric to consider, especially with everything else. If a site has tens of thousands of followers on multiple social platforms and active engagement on a Facebook Page or Instagram from people in their niche, it’s a really good sign of traffic. If you are dead-set on finding the traffic for a single site, some of the above tools will help a lot. The big three (Alexa, SEMRush, and Moz) will give you an idea of a site’s traffic, which can then be used as a baseline competitive analysis tool for any other site. Use a combination of DA, PA, Alexa rank, keyword ranking, social media stats, comments, and any other major metric for sites in your niche and build a spreadsheet with all this information. Then take the site you’re looking at fill in their information, too. You’ll see where they stand in the field, and be able to guess how much traffic they get. While the above is great, it takes a lot of time. You can always take the trail-blazing path and simply produce your own work, garner your own traffic, and, once you’ve become an effective competitor, estimate their traffic. This final step is great because it means your blog gets rolling sooner, but it also means you won’t have as much data to go on until you reach a competitive level in your niche. At that point you could probably shell out for a subscription to one of the above platforms, which will give you plenty of data to start an accurate traffic count. Whether you’re on your commute or in the digital wasteland, remember that too much traffic can actually be harmful. Yes, you want to do your research, you want to be informed, and you want to have a plan of attack when it comes to ranking your blog and getting more visitors. 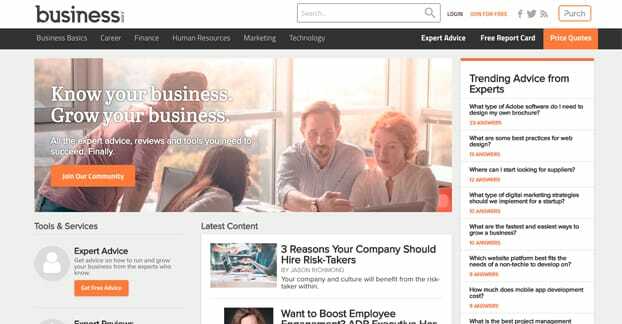 All of these tools will help with that, but what really drives more traffic to your site is relevant, in-depth content that goes above and beyond the competition. If you have that and a handle on competitor’s traffic, it’s just a matter of time.